Wasps are often misrepresented as aggressive and indeed some social varieties are very aggressive. Bald-faced hornets, yellow jackets and paper wasps are known for defending their queen and associated colonies that are housed in familiar paper nest. The bald-faced hornet nest can be seen hanging from branches and often attain the size of a basketball by autumn. These nests are abandoned after one season. The queens overwinter to reestablish new nests the following year. 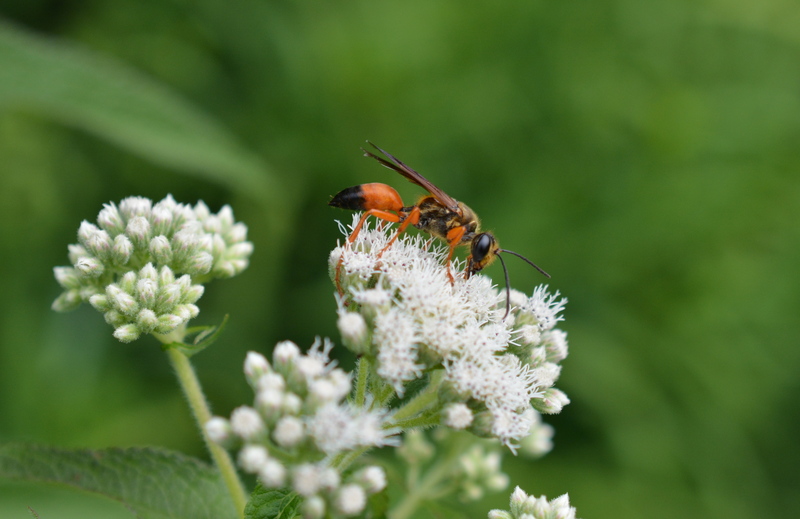 Most wasps are solitary wasps both benign and under-appreciated. These wasps are non-aggressive and produce a variety of interesting structures such as the mud like pipe organs produced by a type of mud dauber wasp, other mud daubers build varying versions of mud nests in which to lay their eggs. 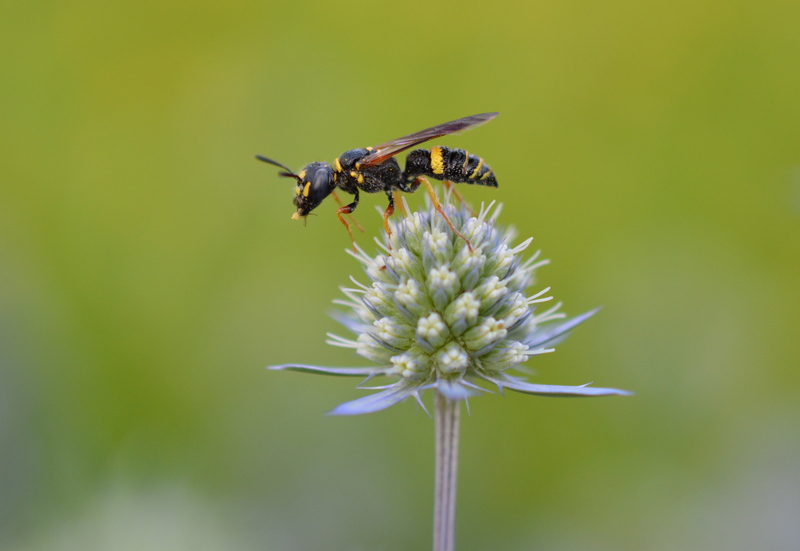 Most solitary wasps like solitary bees, nest in existing cavities or even underground burrows. 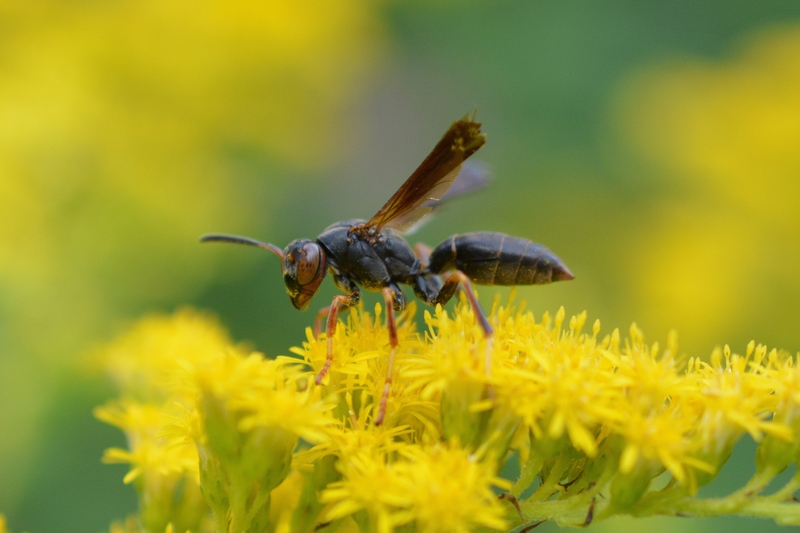 The diversity of wasps feast on a variety of insects from grasshopper and katydids to stink bug larvae and flies a protein rich food that is fed to developing young. Their value as predators can’t be overstated as they provide a natural pest control. 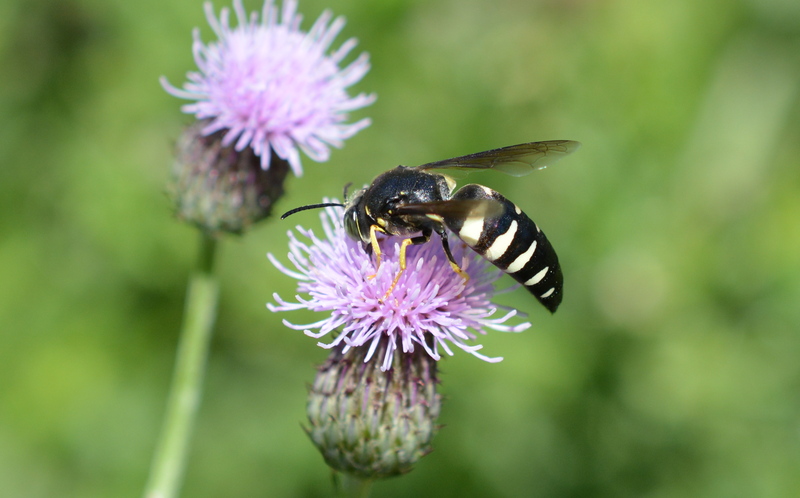 Wasps are often found alongside bees, seeking nectar at flowers. 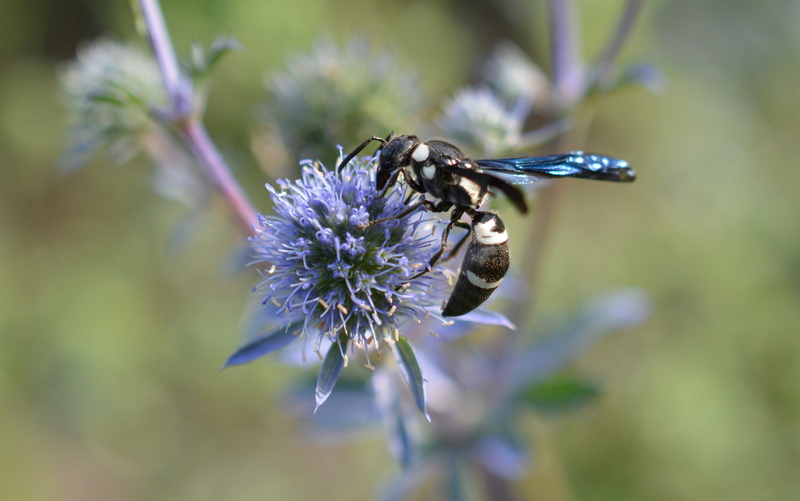 These predatory insects lacking the fuzzy hairs of bees, serve some limited value as pollinators. As you come to appreciate the bees in your garden, it is equally important to recognize this diverse group of insects that can be found working alongside one another to create a balanced ecosystem within our gardens, parks and forests.